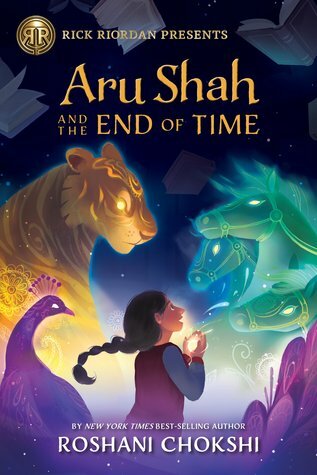 Here are the things you need to know about Aru Shah and the End of Time: (1) it's the first release in the debut series of the Rick Riordan Presents imprint, (2) it's centered around Hindu mythology, (3) it's about twelve-year-old Aru and the fantastical adventure she finds herself on after she lights the Lamp of Bharata, frees a demon called the Sleeper and has to find a way to fix things before the world as she knows it ends. Friends, I really, really, really enjoyed this one! It has the same vibe as Riordan's own novels, but Roshani Chokshi's voice manages to differentiate this story from anything he's ever written. She succeeded in creating a whole host of characters to love (even the 'bad' guys, because who doesn't love a compelling bad guy? ), in writing a middle grade adventure that was, all at once, entertaining, heartfelt and funny, and she made Hindu mythology really accessible to the reader. What more could I ask for? (Just the second book in my hands already, perhaps?) Anyway, this novel was an utter delight to read, and I can't wait for more - of this series and of this imprint. I'm such a fan of the romance trope where the little sister falls in love with her big brother's best friend, and that's exactly what happens in Be with Me. 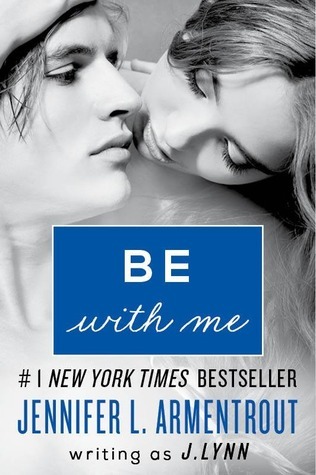 Teresa Hamilton, little sister to the main love interest of the first novel in this series, is in love with Jase Winstead. While she's recuperating from an injury that could decide the future of her dance career, Teresa is exploring her options at college. It seems inevitable that she and Jase will constantly see each other, and as her feelings grow, she's determined to make him see that it's not impossible for them to be together for real. What she doesn't know, however, is that Jase has a couple of secrets of his own. I've made this plot sound truly dramatic, and in quite a few ways, it is. It's not usually my cup of tea, especially with my contemporary romances, but I really loved Tess and Jase, and so, I was invested in the outcome of their story. The vested interest I had in the two main characters is unsurprising, as Armentrout usually does a bang-up job bringing her characters to life. Plus, as with all Armentrout novels I've read, this was compulsively readable! I'm glad I finally picked up this one, and get to cross off another title on my JLA reading list. 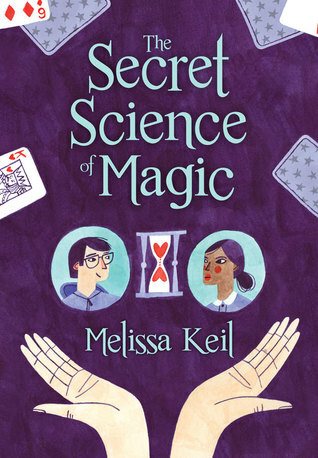 After reading all of Melissa Keil's YA novels, I know to expect charming little stories populated with quirky main characters. That is exactly how I would describe The Secret Science of Magic! Sophia is a genius who finds herself unprepared for the messiness of real life. Joshua is an amateur magician (among other things) who is trying to figure out how to woo Sophia. Will Sophia and Joshua be able to make sense of the complicated things known as real life and romantic relationships? Honestly, this story? Adorable. It is exactly what the summary makes you think it might be: two teens trying to make sense of themselves and their lives, even as they also try to navigate a newly budding relationship. It does get off to a bit of a slow start, seeing as how Sophia and Joshua are not narrators that I could easily get into as a reader. But once I got into the rhythm of their points of view (which were distinctive, and that's always a bonus), I flew through the pages of this character-driven YA read. It's fun, it's #AussieYA and it's well-written, so I'd recommend giving this one a try. Awesome reviews Alexa :D Yay for enjoying these books. <3 And ahhh. Aru Shah. I do have an ARC of it :D I must read it soon. It seems so awesome. And I'm thrilled that you loved it so :) YAY.